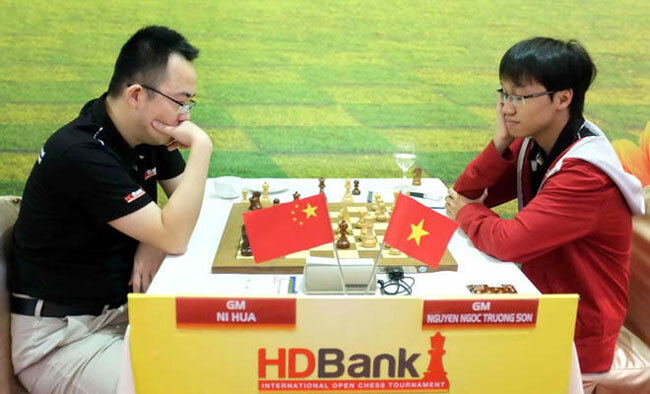 GM Nguyen Ngoc Truong Son (right) wins a title at the HDBank Cup. HO CHI MINH CITY (VNS) — Grandmaster Nguyen Ngoc Truong Son for the first time won the HDBank International Open Chess Tournament, which wrapped up in HCM City on Saturday. 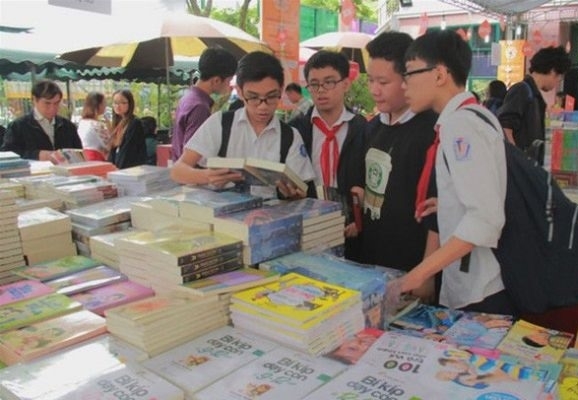 Son, of Viet Nam, had an outstanding competition with five wins and four draws, pocketing seven points after nine matches. His turning point was a victory over defending champion and teammate GM Le Quang Liem in the sixth match. In the last game, Son drew with former champion Ni Hua of China after 23 moves. A draw result was enough to push him to the top podium of the four-year-old tournament. Having as many points as the winner, GM Zhing Zhong of Singapore and Liem ranked second and third, respectively.